Queens’ Thomas Edison Park hosted the 2015 King of the Courts, the most prestigious 1-Wall Big Ball singles event in New York City. 105 of New York City’s best 1-Wall big ball superstars entered for the chance to be crowned the King of 1-Wall handball for the next 12 months, a title captured by 1-Wall greats Rookie Wright, Gio Vasquez, Lefty George, Ray Lopez, Justin Richie, and defending champion and current 1-Wall big ball #1 Timbo Gonzalez. 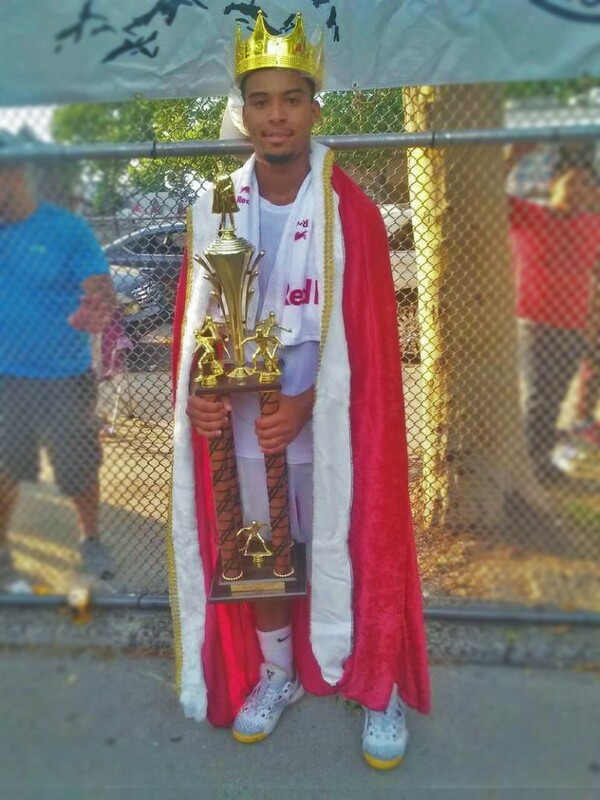 No winner of the King of the Courts had ever successfully defended his King of the Courts crown, a feat not lost on Red Bull’s Timbo Gonzalez. “I have been training for weeks for this event,” revealed Gonzalez. “It would really mean a lot to me to defend this title and be the first to go back-to-back as the King of the Courts. Thomas Edison Park’s 6-court facility hosted more than 100 matches in 32 hours, with the top stars emerging in the business end of the event. Top-seeded Timbo Gonzalez advanced to the final with a dominating 21-7 victory over one of 1-Wall’s greats, Gio Vasquez, in the semifinals. The bottom half of the draw featured the two most dramatic matches of the event, as current 1-Wall Big Ball national champion Tywan Cook overcame match point to defeat 1-Wall living Rookie Wright, 21-20. Cook faced last year’s King of the Courts finalist Tavo Ruiz, staging another thriller. Tavo advanced to the final for the second consecutive year, defeating Cook, 21-19. In a rematch of last year’s King of the Court final dominated by Timbo Gonzalez, Tavo raced to a 7-1 lead. “I just felt stiff from sitting on the pavement watches the matches,” Gonzalez would later say. Gonzalez caught Tavo at nine by sticking to his fundamentals. “Tavo told me before the event started that it would be me and him in the final and it was,” stated Gonzalez. “He is playing great handball and I knew I had to step it up if I wanted to repeat.” Gonzalez scored eight of the next nine points to seize the momentum and take a commanding 17-10 lead. Gonzalez maintained his lead in the one game final to 25, reaching 20-15 and eventually 24-20. 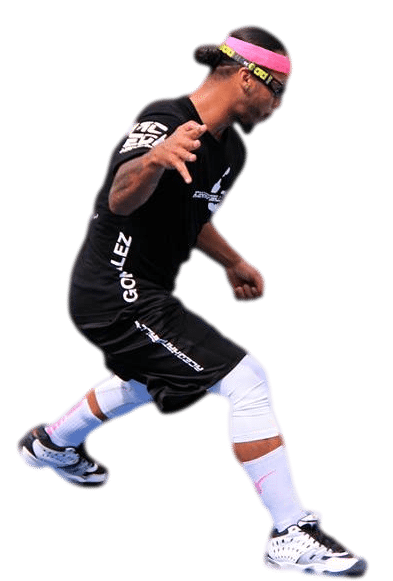 Gonzalez will play doubles with Victor LoPierre in next week’s USHA 1-Wall Small Ball Nationals and head to Calgary for the World Championships in three weeks. Thank you to WPH reporter and Red Bull sponsored Timbo Gonzalez for the updates from Queens. Stay tuned to wphlive.tv for updates, previews, junior handball information, feature stories, rankings and much more from the world of handball.